This apartment has been refurbished this summer and is perfect for 2 people. Apartment 5 has splittable king bed to suit either a couple or 2 singles with plenty of room to spread out. 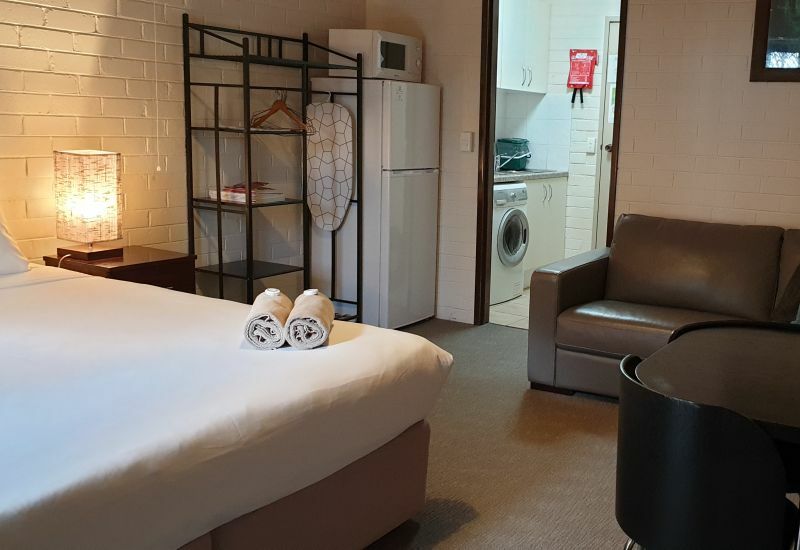 It has a brand new leather sofa, dining table and 4 chairs, 240L firdge, microwave, toaster-oven with 2 electric hotplates, washing machine/tumble dryer. Private balcony wtih BBQ on it and gas is provided free.